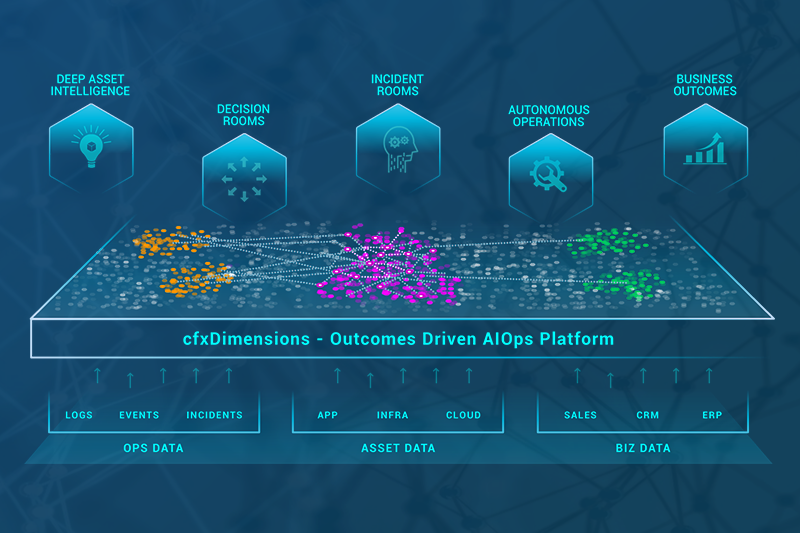 November 13 2018, Pleasanton, CA: CloudFabrix Software, Inc., a leading AIOps software company, today announces the following breakthrough capabilities to accelerate AIOps adoption in enterprises. CloudFabrix new capabilities solve some of the key challenges faced by enterprises today. Business users and decision makers find it challenging to plan and implement large-scale technology refresh, cloud migration, and hybrid IT Transformation projects, primarily because of lack of enough real time deep asset intelligence, actionable recommendations and the associated risk/impact analysis. said Satyan Raju, Chief Development Officer of CloudFabrix Software. 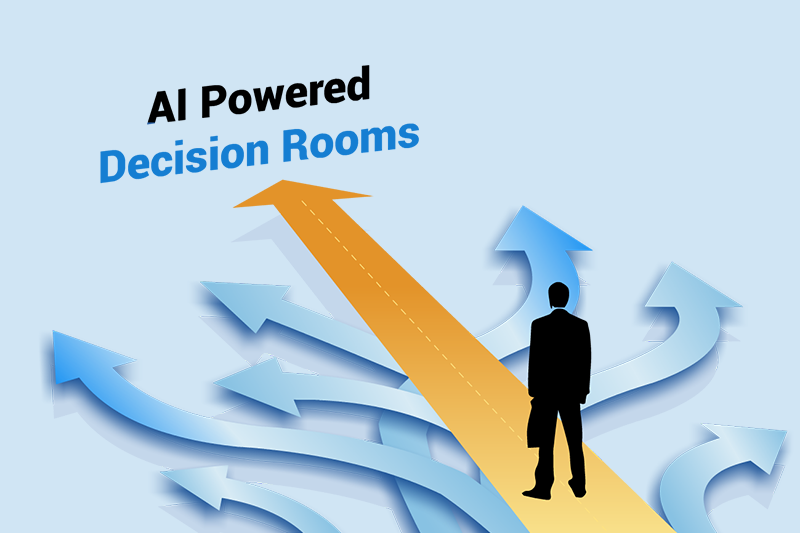 True to its name, Decision Rooms help executives and business leaders in effective and faster decision making based on data analytics and deep learning. Decision rooms provide list of Actionable Recommendations, and are aptly designed for Business leaders, Program Managers, Financial Planners, and Sales Executives with the ability to immediately act upon them. Decision makers can evaluate multiple implementation strategies for each of the recommended actions and analyze the strategy that provides the best path to achieve the desired outcomes. Decision rooms streamline and accelerate the decision making process to increase agility, accuracy and reliability while evaluating risks and business impacts for each of the recommended actions. CFX Incident Rooms are the modern digital war rooms that enable IT operations and service desk teams to easily and efficiently triage, troubleshoot and resolve incidents, leveraging machine learning, context-aware analytics and automation. Incident Rooms drastically reduce MTTR by automating end-to-end Incident management. Incident Rooms presents a holistic view of key asset data, metrics data, historical data and AI-driven recommendations to enable expedited and streamlined processing of the incident. Incident Rooms increases productivity of operations and SOC/NOC teams by pulling together and assimilating key asset/metrics data from multiple sources and top it off with AI-driven recommendations. cfxEdgeCollector is a lightweight standalone, intelligent IT asset discovery and mapping tool, that can rapidly discover and visualize the entire footprint of given IT environment in matter of minutes. It is based on innovative Edge Architecture that allows customers to easily discover IT infrastructure, applications, services from various enterprise environments such as data centers, campus, remote sites, and IoT deployments. cfxEdgeCollector runs as a standalone application that can be deployed on a VM or even a laptop with a minimal footprint. It significantly reduces costs and Mean time to Instrument(MTTI) the environment to collect the comprehensive intelligence about hardware, software, OS, applications making it available for offline analysis. CloudFabrix introduces Analytic Unit (AU) based pricing model to help enterprises and partners embrace consumption based pricing models. Partners can now offer more granular feature based offerings and in turn enable customers to have optimized usage based costing. Customers can access and test wide range of platform features without large upfront cost. This model provides affordability and flexibility based on product usage patterns, business growth and volatility. AU is an unit of analytical processing capability executed within an hour for data analysis such as data collection, data processing, data manipulation, workflow events or similar jobs. Ready to experience what our platform can offer? Want to discover how fast you can gain insights with your own data? Our Test Drive snapshot program is designed to help our customers and partners to quickly realize how your organization can gain real-time asset intelligence. Contact sales@cloudfabrix.com to sign up for this program.